As we start to settle in 2019, the first batch of this year’s flagship smartphones is already with us. 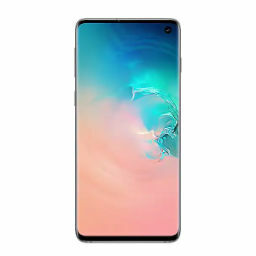 Devices including Samsung’s Galaxy S10 and LG’s G8ThinQ have set the stage for the rest of this year’s high-end gadgets. Over these past few weeks, news and leaks for the OnePlus 7 have also made rounds on the interweb. Now, we’ve got more alleged renders for the smartphone. Take a look below for more details. When we take a look at Eastern smartphone manufacturers (except Samsung), trends that some might claim are on the fringe of the flagship smartphone market start to become evident. While Apple, Samsung and Huawei have adopted triple rear camera setups in their smartphones, they’re yet to make the move to pop-up or sliding front cameras. 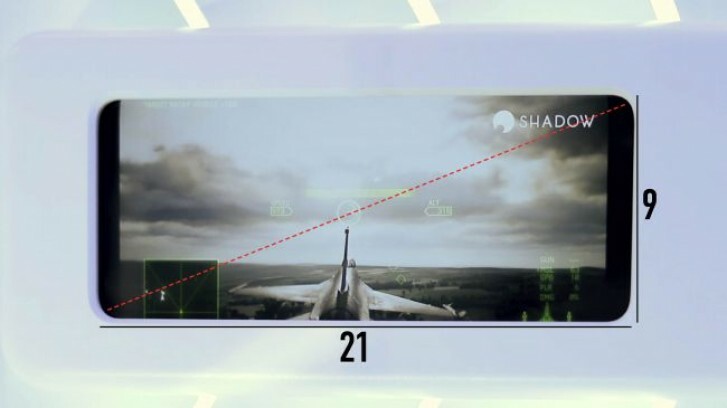 The trend of bezel-free displays has led to manufacturers using novel ways to remove the front camera from the equation. 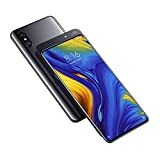 One such method is a sliding mechanism, which is present on the Xiaomi Mi Mix 3. The other is a pop-up arrangement which should make it on the OnePlus 7 if current rumors for the smartphone bear fruit. We’ve got another set of renders today which also show this change. The low-quality images corroborate earlier reports for the OnePlus 7. They show the device with a triple rear camera setup and a pop-up front camera sensor. 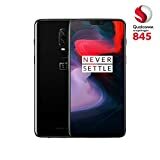 Additionally, OnePlus might also use a new chassis for the smartphone, as the locations of the power and volume buttons are different than those for the controls on the OnePlus 6 and OnePlus 6T. 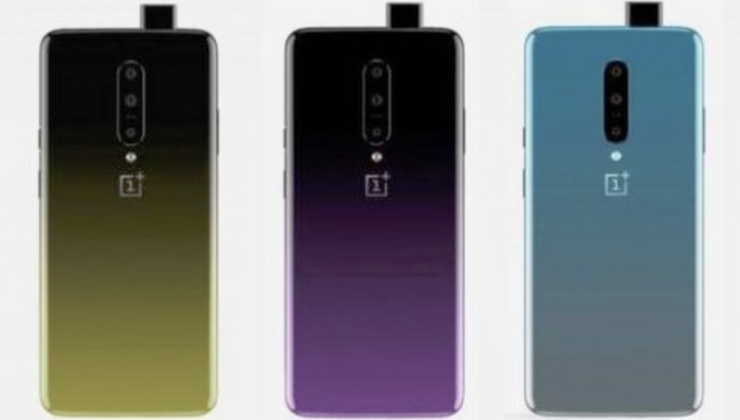 We’re uncertain whether the colors of the gadget in today’s leak reflect reality; since we haven’t seen credible information surface for the OnePlus 7’s color options, we’d advise you to wait before reaching conclusions. The OnePlus 7 is rumored to feature a 6.5″ AMOLED display, and a triple rear camera setup with 40MP, 20MP and 5MP resolutions. Given that it’ll be a 2019 flagship, the smartphone will be powered by the Snapdragon 855. Since there’s no way for us to verify the authenticity of today’s renders, we’d also advise you to take them with a grain of salt. Thoughts? Let us know what you think in the comments section below and stay tuned. We’ll keep you updated on the latest.